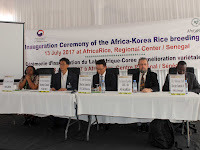 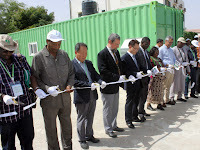 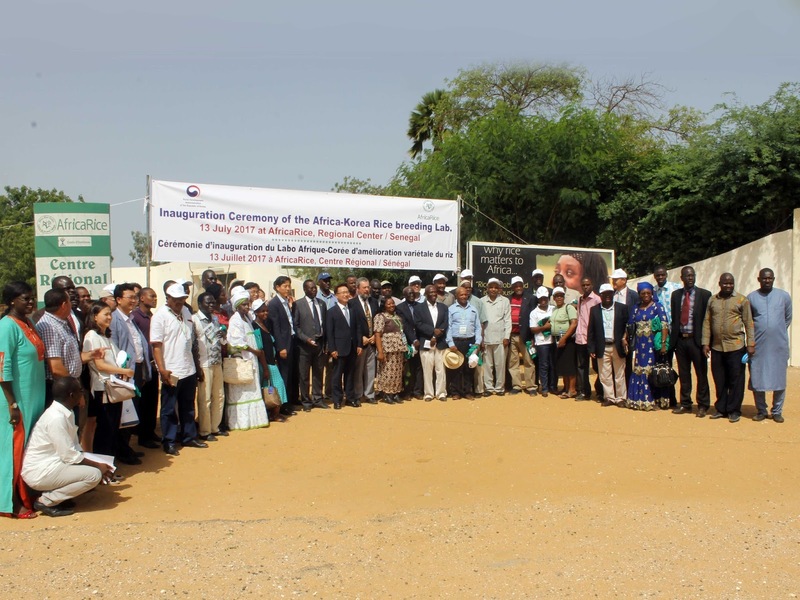 The inauguration ceremony of the newly set up Africa-Korea Rice Breeding Laboratory (AKRiL) was held on 13 July 2017, at the AfricaRice Regional Station, Saint Louis, Senegal. 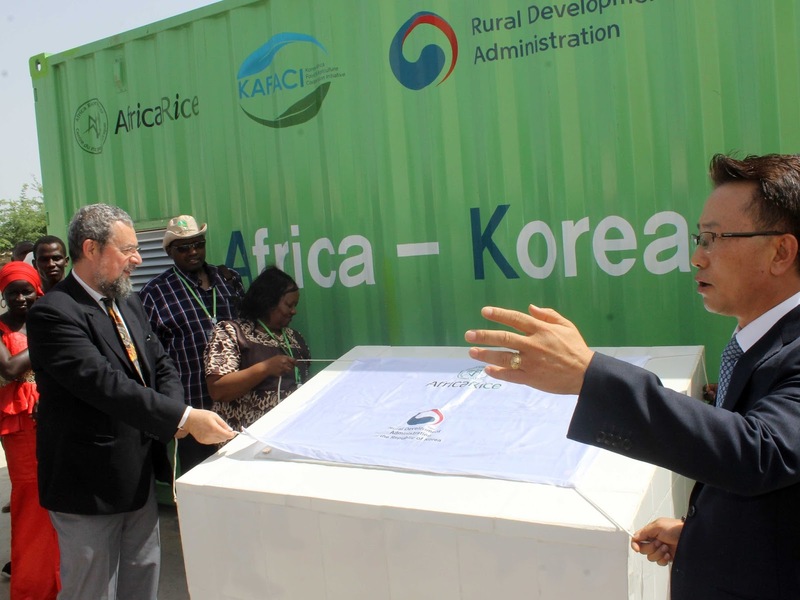 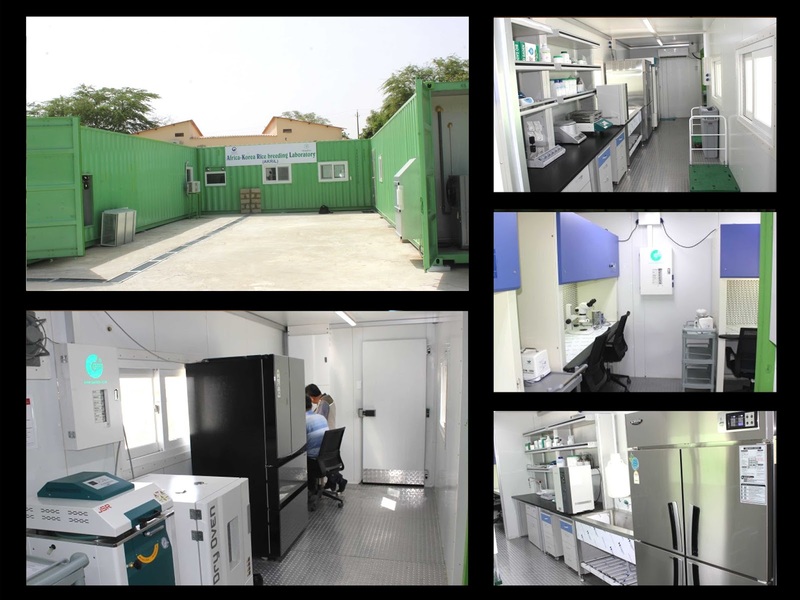 The laboratory has been donated by the Rural Development Administration (RDA) of the Republic of Korea under the Korea-Africa Food and Agriculture Cooperation Initiative (KAFACI) to develop elite rice varieties for Africa, as part of the Africa Rice Development Partnership. 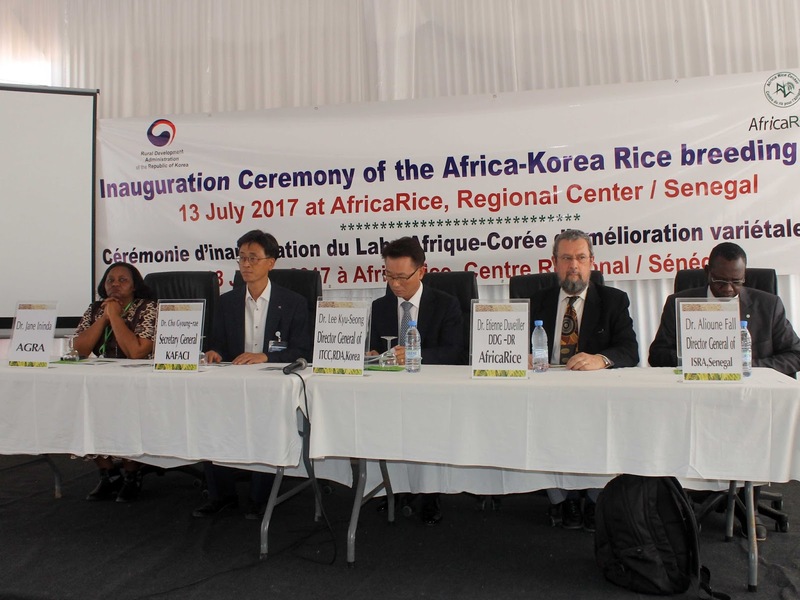 The partnership seeks to broaden the African rice gene pool with high yield and quality traits from Korean rice germplasm. 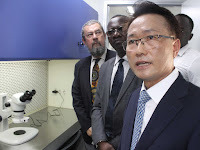 It will also enhance African rice breeding capacity by training national rice breeders, particularly in the application of anther culture, which has high potential to increase rice yields in Africa. 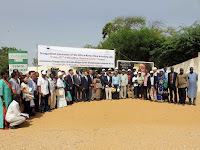 Dignitaries attending the inauguration of AKRiL included Dr Kyu Seong Lee, Director General of the International Technology Cooperation Center (ITCC), RDA, Korea; Dr Cho Gyoung-rae, Secretary General, KAFACI; Dr Jane Ininda, Associate Program Director, Alliance for a Green Revolution in Africa (AGRA); Dr Alioune Fall, Director General of the Institut sénégalais de recherches agricoles (ISRA); and Dr Etienne Duveiller, AfricaRice Deputy Director General. Dr Kyung-Ho Kang, Project Coordinator, gave a guided tour of AKRiL after the unveiling of the plaque and cutting of the ribbon. 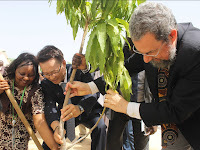 A sapling was planted to commemorate the celebration.